About time we bring the kids to the Island of Corregidor. The guided tour to this historic island is among the best. Cheerful guides, a good transport system — 1 hour 15 minutes by hover ferry and then the trams called tranvia to tour you around the tadpole-shaped island — and a 3 hour tour packed with history lessons. Sun Cruises Terminal is right between the Folk Arts Theatre and the Coconut Palace in the CCP Complex. It’s hard to miss the Sun Cruise Terminal in the CCP Complex. Just tell the cab driver it is between the Folk Arts Center and the Coconut Palace in this reclamation area. Be sure to be there well before the 8am departure time. Worry not about missing breakfast. We took ours there. That is, if you don’t mind a Sabrett hotdog for brekkie. 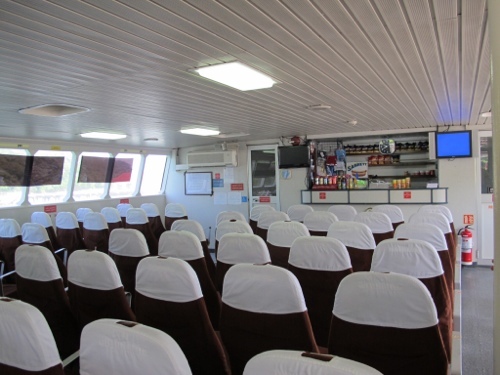 Inside the Ferry, on the upper deck, is a store where you can buy breakfast fare. Sunscreen, shades, hat. There are umbrellas inside the tranvia which you can use whenever you step off to view the sites. Just remember this is a memorial. Where many gallant men died defending our country from Japanese forces. If you don’t care to listen to the guide’s history lessons, at least wait for her to finish her spiel before you start camwhoring. Also, do try to tone down your voice. What is it about us, anyway? 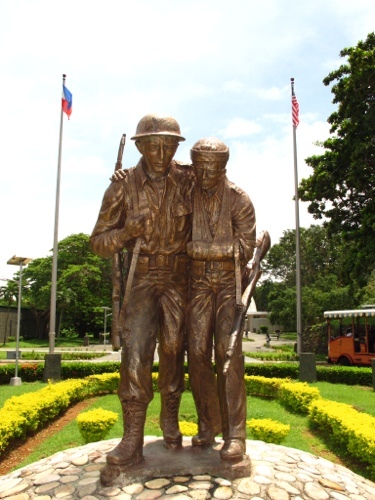 I feel really sorry that many of our kababayans don’t seem to have much interest in our history, much less accord the necessary respect for our patriots who died here. So sad. 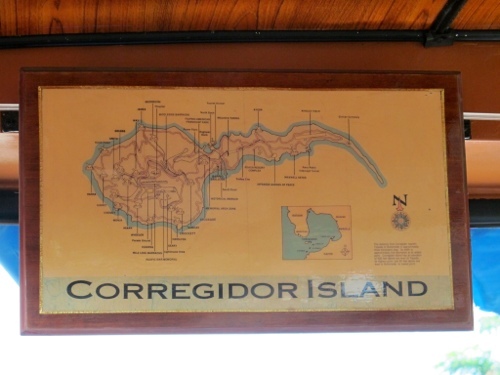 Map of the Tadpole-Shaped Corregidor Island. There’s the Topside, Middleside and Bottomside. 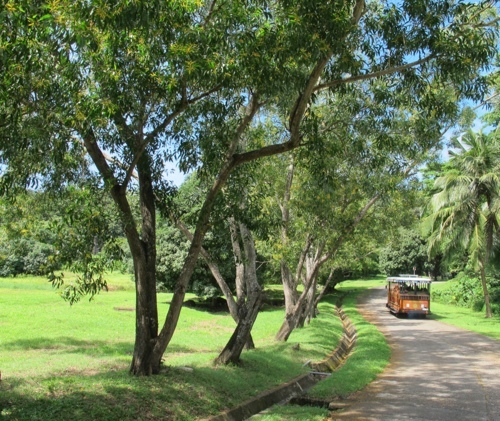 While only 48 Kms west of Manila, it is considered part of Cavite City. 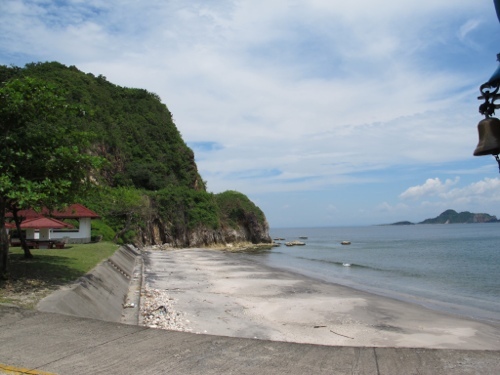 Corregidor, along with the tinier Caballo Island which is only 2 Kms away, partially blocks the entrance to Manila Bay and is thus very strategic in the naval defense of the capital city. 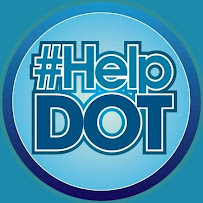 Since Sangley Point is located in Cavite City, it made sense to have this island under the administration of this tiny city. There goes the tranvia or tram which is found waiting for you as you disembark from the ferry to whisk you around the Island. 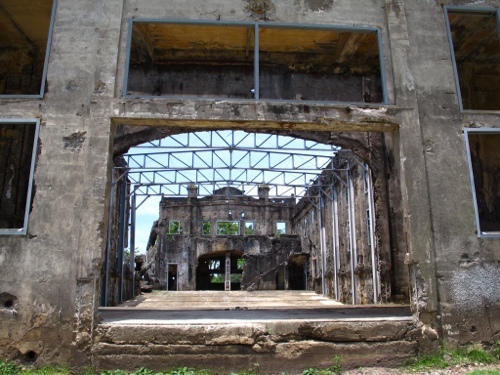 The walk through history included the Topside where the headquarters, barracks and bulk of the batteries were located. The Middleside houses the hospital and more barracks while the Bottomside connects the “head” and the “tail” of this fortress island. The Malinta Tunnel with its labyrinth of passageways is found here. So called because the place was swarming with “linta” (leeches) then. Today, the Tunnel is home to a Light and Sound presentation designed by National Artist Lamberto Avellana. 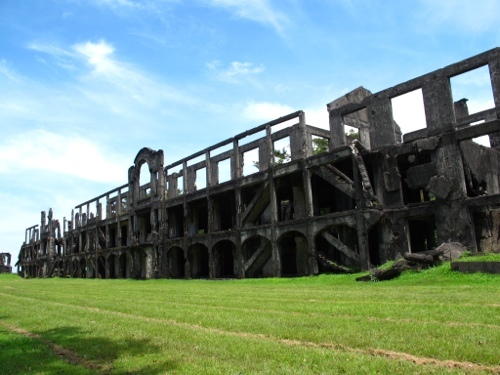 For an additional P150 fee, one is transported back to that time during the Second World War when Corregidor was the last stronghold of the joint Phil-Am military forces fighting against the Japanese Imperial Army. Much like the Gibraltar of the Orient. The Headquarters. 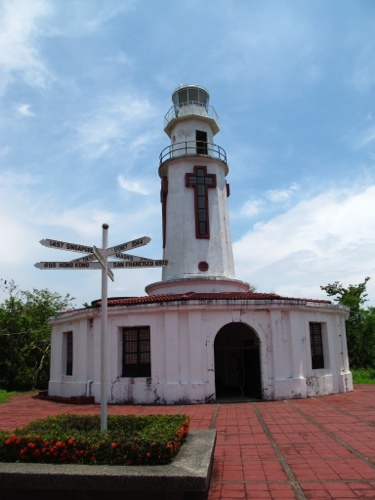 Iconic landmark of Corregidor Island. Dome of Valor, behind which lies the Eternal Flame. 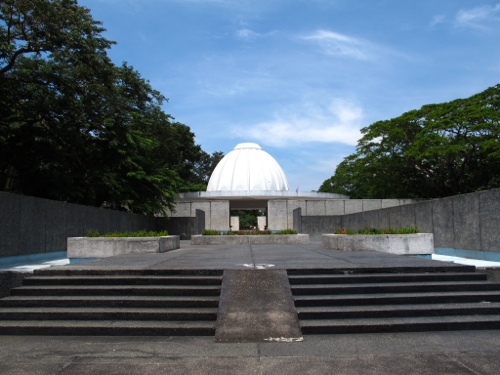 Story goes that every May 6, around noon, the sun casts a light right through the dome’s center where an altar dedicated to American and Filipino soldiers is located. May 6 happens to be the date when General Wainwright surrendered the island fortress to the Japanese. 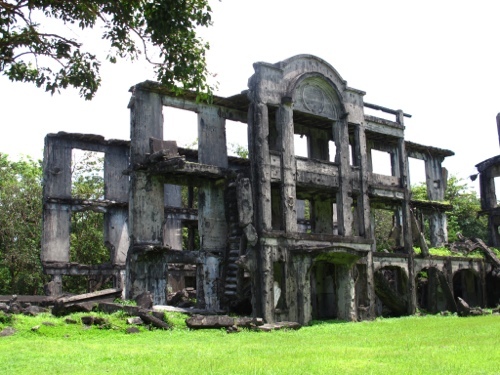 Another story is that the nearby pre-war movie theatre — Cine Corregidor, now in ruins — had “Gone With the Wind” as the last movie shown. At the time we visited, it looks like some restoration work is ongoing. Hopefully, the theater can be restored soon to warrant another visit. Cine Corregidor. Now undergoing renovation/restoration work. The Lighthouse. Check out those latitudes! 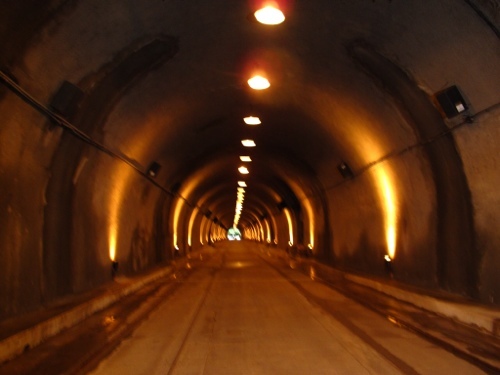 Inside Malinta Tunnel. Light and Sound Show for an additional P150. Visible is Caballo Island, just some kms away. do you happen to know the exact schedules.. how much would it cost and how to avail a tour.. we are planning to go there.. all we know is there is a ferry going there but have no idea where to start.. thanks thanks.. 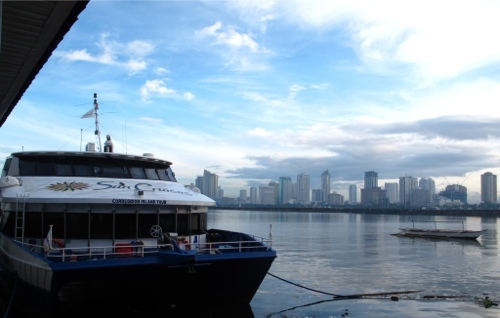 Ferry leaves exactly 8 am daily, arrives 9:15 am in Corregidor. Then leaves the island 2:30pm to arrive back in the Sun Cruise Terminal by 3:45pm. 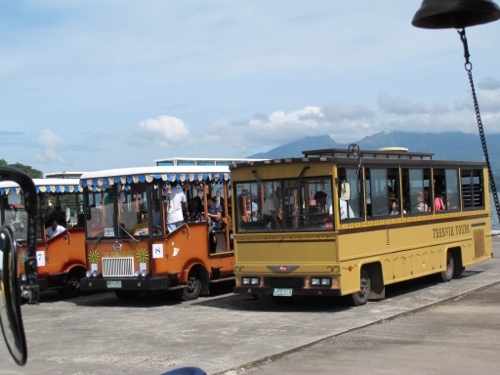 The P2,200 includes ferry rides, tour and lunch. I suggest you buy your tickets from the Terminal or online (sun cruise website) before your intended visit date. I haven’t really seen much of Manila as I spent most of my time in Makati when I’m there, but this place looks amazing! I’ll put it on my list for when I’m back in the Philippines for a visit. Thanks for sharing. « Dr. Livingstone, I Presume?